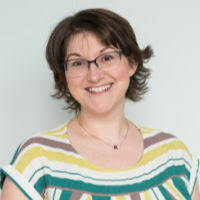 This is a guest article by Kristy Dickerson from STARTplanner. Multitasking has been praised by many as the secret sauce to reaching success at record speeds. But over the years, that’s been dispelled. Studies aimed at disproving the claimed advantages of multitasking have popped up, urging the public to actually turn the process of multitasking inside out to see if it’s an ally or an enemy. As much as it can affect the individual, multitasking may also harm a business entity, regardless of whether it’s a family run business or a Fortune 500 company. Still think you can do a great job on your project if you’re responding to emails while on a conference call and helping the colleague at the next desk? 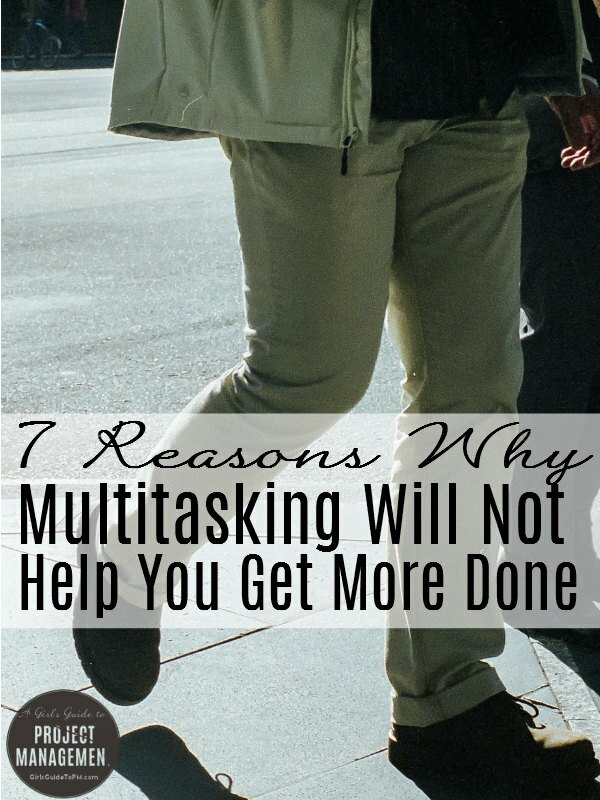 Read on as we discuss 7 potential drawbacks of multitasking. Employees and employers who frequently switch through various tasks and projects end up having troubles in focusing their attention. They split their time and attention so far that they fail to extract key information and experience from each task they work on. And while many tasks on a project are repetitive and even somewhat administrative, the long-term impact of multitasking can prevent you from staying focused and completing the items off your list efficiently. Whether you’re talking on the phone with a client or checking your email messages, choose to instead divide your time into chunks to deal with specific tasks and check them off your list one at a time. Multitasking can be one of the most active times for your brain. This can cause an over-stimulation of the cognitive function, which can lead to memory loss. The rate of memory decline can be further amplified by other predisposing factors, such as age, environment, and existing health conditions. If you are focused on a project and you constantly get sidetracked by intrusive coworkers, unrelated phone calls, or social media notifications, it’ll be challenging, if not impossible, to maintain the information you were working on as you were interrupted. By having too many stimuli coming at you simultaneously, the brain cannot clearly distinguish between what’s vital to your project and what’s a random cat photo. Competing as a business predominantly comes down to who performs better. Project success is also affected by performance and as a project manager, you’d want to remove as many inefficiencies or “bugs” as you can from your work processes in order to get the most out of your time and team members. Seamless operations, however, cannot be achieved with a lacklustre workforce. If your employees are not performing at their optimal levels, a common culprit is multitasking. They might be harbouring the view that juggling many balls is going to increase their productivity. Time to put that right! Switching between tasks can be counterproductive to progress. Team members will start doing a new task while existing tasks are still on their To Do list, unfinished. As a result, their workloads for the week become cluttered. New tasks come in, which further worsen the backlog of tasks that need to be accomplished. The paper-free office isn’t a reality for most people (or even desirable to some). Tasks bring with them sticky notes, pieces of paper, printouts and so on. Adding more into this situation creates a messy workstation, which ultimately circles back to a loss in productivity. Multitasking may work to achieve the output in mind at times, but it also has the risk of producing inconsistent results. The danger lies in the fact that people aren’t really equipped with the mental capacity to identify the importance of each task and prioritise it accordingly. At some point, you’ll have team members focusing on the wrong items or tasks and foregoing core aspects of the project, creating a volatile future for the success of your delivery. While you don’t necessarily feel it right away, the habit of switching between tasks can create added stress to your already stressful work week. As mentioned earlier, the brain gets a lot of input when you are multitasking so it gets exhausted more quickly and has a higher risk of burning out. For instance, taking important conference calls while trying to organise a spreadsheet for your upcoming presentation can put more pressure on you. The financial impact of multitasking can hurt the chances of survival of your business overall. In fact, according to a report by Kronos, a workforce innovation company, around £60 billion is lost by UK businesses per year due to time wasted by employees doing unnecessary tasks. A cause of this is the lack of creativity and the ubiquitous nature of distractions in the workplace. When employees lose focus, their companies do not hit respective financial targets. This might have an impact on your ability to achieve project benefits as well, or bring your projects in on budget. To avoid having to multitask at all, make sure your project team has a plan that guides everyone every step of the way, building in enough time to do the work in an effective manner. Encourage your team to plan their daily workloads as well so that they won’t have to cram multiple tasks into one session of the day or week. Not only will this benefit your project as a whole, but individuals will also benefit from an improved career focus and better overall health. About the author: Kristy Dickerson, keynote speaker, businesswoman, and active CEO and co-founder of STARTplanner, has devoted her life to providing hope for individuals who are looking to achieve balance, success, and happiness within their own lives. Dickerson has been sought after for keynote speaking due to her relatable story, no excuses tone, valuable advice, and upbeat personality that she entrenches in all aspects of her brands. She believes and preaches that individuals have the ability to do anything they want. Through business coaching, workshops, and speaking she has shown individuals how to make change happen in their life and small business. One simple reason that you shouldn’t multi-task…….. If you have two tasks that take, say 5 working days each, and you work on each one day at a time, then the first task will be complete after 9 days and the 2nd after 10 days. Now do the same thing except work on task one until it finishes and then work on task 2. Task 1 is now complete after 5 days and task 2 completes after 10 days. Now I haven’t considered setup or task transfer time but you can see that Task 2 completes after the same elapsed time but when you focus on one task at a time, task 1 completes 4 days earlier that it would if you multi-task. This is a simplification but most people think that multi-tasking gets things done quicker……..it doesn’t. What the above implies is that you should focus on one task and get it done and then move onto the other one. Obviously the best solution would be to get two people to do the individual tasks but you often don’t have that option. Pick the task that is most urgent and do that first. If somebody is waiting for task 1 to complete then you can see that they get the work handed over to them earlier. The person waiting for task 2 gets their work handed over at exactly the same time irrespective of which method is used. It’s important to highlight when two task are using the same resource; schedule then in series and not in parallel. If the time for the 2nd task is not acceptable then get more resource. Thanks, Michael. This is exactly why multitasking at an individual or corporate level isn’t the best way to get work done. Kristy, I agree with your article. I am a stronger believer in doing 1 task at a time as I find you do a far better job and it will be completed faster. The same applies to projects. Companies often try to do lots of projects and take ages to complete them. If they did one project at a time it would be completed faster and to a better standard. I also like to batch similar tasks together. For example if I have a a few tasks to do in the same piece of software I like to do these tasks one after the other to stop the need to switch. Hi Barry, I totally agree with your point that often companies take on far too many projects and then they all take longer than necessary to complete. The task I batch the most is recording videos, because it takes a while to get a good video equipment set up with the right light, and I want to make the most of the effort involved.